I have in recent days given much thought on the market, the move up in interest rates and Cape 10. At it's recent 32.71 it is in the very significantly overvalued range. I have used this for a great many years as one of my gauges for over and under inflated markets. It is a very slow long term valuation gauge however, and the long period of time it has kept my stock allocation lower has had a significant opportunity cost, though my personal measure is to grow at 2-3 percent above inflation and not to be worried about market returns. The recent breakout of long term interest rates, occurring in the month of October gave me pause. The increase in interest rates was long feared and gave many intermediate market panics prior to the actual increase in interest rates that convincingly broke a long term trend. It was as if all the people who feared rising interest rates would drop the market, and the Cape-10 as well, decided that they were foolish and it was expensive to miss out on the rises that occurred after the short term moves. Even here on several threads in the past serious concerns would be raised on interest rates and the effect on preferred stocks, bonds and the serious risk those pose. Now the board seems full of individuals set to pounce on issues with both barrels should a serious decline occur, but even though interest rates are now higher than 2016 many of the prices of these securities are significantly higher. A sign I feel of too much comfort. However if one steps back to a view of the Stock Market and Bond Market to the same point of view as the Cape-10, that is from a very long term view, one can see that interest rates do very much appear to have reached a very long term bottom and are breaking out to new highs. Indeed for really the first time since the 1980's they are braking long term moving averages. The offsetting factor to me is the economy, which appears to me to be continuing in an uptrend and the best I have seen in a very long time. Yet this trend break, which took a couple of years to unfold has had no impact on the market until a few days last week, perhaps because the economy appears so strong. The interesting part is bear markets are typically very fast moving, unless it is the very long term trend is down, in which case they just have a slow downward drift with significant breaks down when either the trend is realized and beginning or near it's nadir. The Shiller Cape-10 bottomed out in the same time frame - in the early eighties at about 7. This being October we could be looking at this point a years from now and seeing many posts about, "Oh yes well the Cape-10 was nearly 33 interest rates were rising and stocks were clearly overvalued. There was much discussion here about that then, but if you keep committed to your asset allocation you will be ok"
The impact on present value of an increase in the risk free rate for a string of payments for 30 years from 2 percent to 4 percent is a 22 percent decline - which would value the S&P 500 not at 2885 but 2230. There is no talk or fear of that today. Of course the increase in interest rates also has a further effect of reducing corporate income and making productive asset investment more costly, which has been a great feeder of the technology boom. When you can borrow at 2 percent almost all investments increase earnings, unless you are GE. It just seems to me that we have silently hit a point where a very long term bull trend is definitely ending in interest rates, the Cape 10 may have topped- ( it never surpassed it's 2000 high) and the stock market bull trend could be ending as well (that meaning you do not recover in the next up move to a new high as we did both in 2001 and 2009) and it could be years before anyone would be aware that valuations were just too over-inflated to be reclaimed any time soon. It could be that we just get a repeat of 1966 - 1981 where the market just trades in a price range while inflation consumes values to the down side. But market moves rarely replicate, and with the switch to where almost all investments are in ETF's and funds I would anticipate a change in a long term trend would have it's own form on the next bear round. Since it is October when this has occurred I did not sell my stock position as I did earlier in the year, which I purchased back at a slight discount to my selling point, but I did take a pretty good position in short term puts, as these thoughts continue to percolate in my brain, and I just felt obligated to purchase some. Indeed it is good it is a Sunday, for as I right this down it strikes me that my thoughts have much validity to them and I think I would buy more puts right now if the market was open. What does October have to do with it? Indeed it is good it is a Sunday, for as I right this down it strikes me that my thoughts have much validity to them and I think I would buy more puts right now if the market was open. It's good that it's a Sunday in October. There's always tomorrow. I also think the market is at a point where the risk of it going down is getting higher and may equal the chance of it going up. But what is the best way to handle this? I don't know the expiry of your puts, but I just looked at 6 months out, the put for the S&P at 2500 costs roughly 1% of your shares. And it does not protect you until the S&P already drops 13%. If the insurance costs so much, would it not be better just to sell the stock outright? Or perhaps, you may be thinking about trading the option for some money to offset the loss and not about waiting to expiry? Interesting read as always. 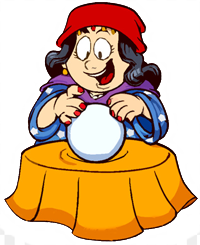 I wish you good fortune on your puts. With the Bond market closed tomorrow, we may see a little rally and the opportunity for you to increase your put position. I initiated some cash covered puts recently. I’m hoping the downturn is not too deep. I’m hoping the premium will expire worthless. Take a nice nap and hope that this feeling to time the market passes. What could you guys possibly know that everyone else in the market does not also know? And if everyone knows it, then don't you think it is already reflected in prices? Prices reflect the votes of tens of thousands of professional and amateur money managers, many of whom actually (IMO) know more than any amateur dinging around on the internet could possibly know. At any time, the number of sellers is the same as the number of buyers as it is often said. If so, whether you buy or sell, don't you have the same 50% chance of being right? In any event, as one can never be 100% sure about anything, it is better to put a bet based on the probability, meaning something along Kelly criterion than go 100% all in or all out. There's a concurrent thread about the same idea: Allocation according to CAPE? [QUOTE=OldShooter;2120333]Take a nice nap and hope that this feeling to time the market passes. I think that the nap idea was the best one in the discussion. I think that for an individual investor making a short term bet the best case is that it is a 50/50 win/lose probability. The Efficient Market Hypothesis folks would argue for 50/50, saying that all information about the purchase is refleced in its price. So the next price move would be random, driven by unknown future events. Another factor here is that we are not talking about coins. Even if the win/lose probability is equal, the outcome in dollars may well not be. For example, a put has limited downside (the price of the put) and different upside ($100% of the strike price less the cost of the put). Black and Scholes worked all that out for options and supposedly their results are reflected in today's option pricing. I have no idea how asymmetry affects the results of an individual stock trader but clearly the 50/50 coin flip model is not good enough as the sole basis for a strategy. AFIK Nassim Taleb has always been very shy about the details of his trading strategy, but from what he has said it seems that he thinks that highly unlikely events are underpriced in the options market. So he exploits the underpricing by happily taking many small losses as he waits for the big wins. Again, not 50/50 and not symmetric. But also not EMH, since Taleb believe he knows more than his counterparties. Re Kelly, I just read a little bit and understand that it is a betting strategy for a situation where odds are known to be favorable. The EMH tells us that any favorable odds in the market will be quickly arbitraged away. So if you believe that, then Mr. Kelly can be sent home. Blather, blather, blather. The real bottom line is that disinterested experts like Bogel, Ellis, Malkiel, etc. tell us from long experience that market timing, while it is possible to get lucky, cannot be done on a sustained basis. Best to learn from the mistakes of others because we will not live long enough to make all of them ourselves. A long term passive investor bypasses almost all of this uncertainty and is simply betting that very long term market trends will continue. Sloth has its rewards. I think attempting to use CAPE to time the market will cause you to be out of the market and leave a lot on the table. Having said that, taking profits/reallocating does not seem crazy after the long bull market. But this market seems to lack the euphoria typical of market tops. The pessimism here is evidence. I see what I consider an inflection point, as maybe investors are finally seeing that the Fed "really means it" this time, and the easy (cheap) money is going away. But things like this can take years to play out. So I just keep doing what I am doing - rebalancing once a year after taking my annual withdrawal. Was the chance of the market going up vs. down the same at the bottom in March 2009 as it was in at the high in Oct 2007, meaning 50/50? And is it still the same now? The only absolute in the market is that for every buyer there must be a seller, or perhaps that every seller must have a buyer. One will be right, one will be wrong. I wonder what did BHs say about the market back in 2007. I’ve not been following that forum until recently. Did the same people say no body knows nothing then? I went to the BH forum once quite a few years ago, and have not returned. So, I don't know how they said or acted then. Well, the EMH proponents maintain that the market price is always fair, whatever level it is at. During the dot-com mania, well that's a fair price. When the market crashed, the bottom price is also fair. I guess EMH applies to the housing bubble, er, market too. Nobody can know anything, according to them. Look. The market comprises of people who are emotional beings. Hence, we have alternate periods of irrational exuberance, followed by mass hysteria and despair. Players in the market are not cool operators who passively evaluate all factors like the EMH assumes. Buy, buy, buy. Sell, sell, sell. Rinse and repeat. PS. I was not at the BH forum, but was on this forum during the market meltdown in 2008-2009. Never did see anybody talk about "blowing dough", or having WR set too low. Well, the literal answer to your question is that looking forward from March 2009, Oct. 2007 and now there was near certainty that the market would go up and there was also near certainty that it would go down. If you want to put some kind of time limits on the predictions, like when and how much, then you quickly get to the wise forecast attributed to JP Morgan: "It will fluctuate." Viewed a little more technically, it is possible to plot the few thousand data points we have as a distribution: It looks nothing like Gaussian. It is not centered on zero, it is not symmetric, it has fat tails, and the data points cannot be said to be independent (due to momentum effects). Looking at this distribution, one might say at any time: "The market will fluctuate, probably with a very slight bias upwards over time." Markowitz, looking at his ideal Gaussian, would say the same thing. Viewed in the rear view mirror as you are doing, of course, there is nothing to predict. We know. But we also know that short-term price action we have seen in the past is not predictive, despite the market astrologists who call themselves "technical analysts" claims to the contrary. With respect, sir, what you are arguing is called a "hunch." Of the thousands of charts and graphs out there, you have selected a few that you think support this hunch or that have caused you to develop the hunch. But selecting them is highly susceptible to confirmation bias. Good luck. I believe that any bet you make has a slightly less than 50% chance of winning. But if it wins, history says it will be because of luck not skill. Your brain will give you a dopamine shot and you will be tempted to roll the dice again. Because this kind of stuff is a lot of fun. BTDT. It is not, however, investing. If one jumps 100% in/out of the market on a hunch, yes, it's foolish to do so, and success is not guaranteed to repeat as it is all about luck. However, if one says, "the market has crashed so bad, I think the chance of it being higher 5 years from now is better than it going lower", then it's not a bad gamble, oui? Conversely, when everything is going so great, and you think "the chance of good news keeps coming to propel the market up and up to unprecedented P/E despite rising interest rate is not that good, so maybe I should reduce my stock AA", it is not the same thing as saying the market is going to crash and I am going to all cash. Kelly criterion makes a lot of sense, and does not contradict common sense. It is proven that if the chance of winning is 100%, then you bet all that you've got. If the chance is 50/50, then there is no point in betting. The chance of the market being up, not tomorrow but 5 years, 10 years from now is usually better than 50/50. Maybe it is 60/40 or something, I don't know, but usually better than 50/50. Hence people including myself buy stock. But once in a while, I think it is worthwhile to sit back and think of the backdrop economic condition. Is that chance still 60/40, or something closer to 50/50? If so, perhaps I should cut back my stock AA. I think that's still common sense.